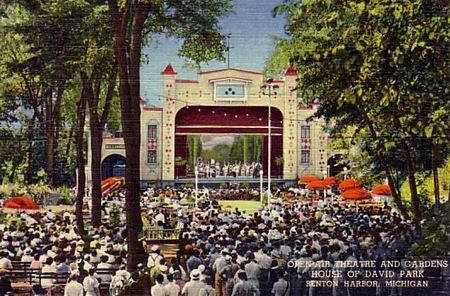 The amusement park is open again and is being restored. Lots of ongoing work. 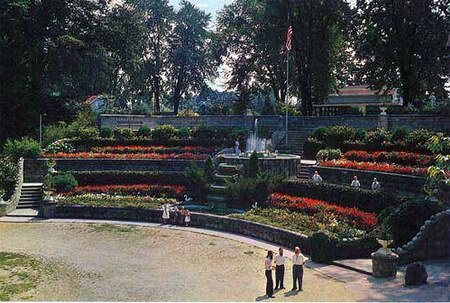 It is called Eden Springs Park at the House of David. Train rides every Saturday and Sunday with steam engine most Sundays. They have a web site and facebook page. Is it possible to go on a tour of the inside of the diamond house? Is Mr. Purnell still interred there?. I used to live at the ravine trailer park many years ago. 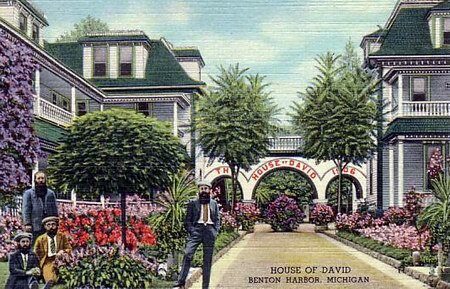 My friends and I used to sneak across the street to go on train rides I always saw the a House of David as fun but somewhat mysterious place, In the back of the Diamond house there used to be a gazebo and a water fountain, we were always drawn to playing there, and no one stopped us. It was our wonderland. 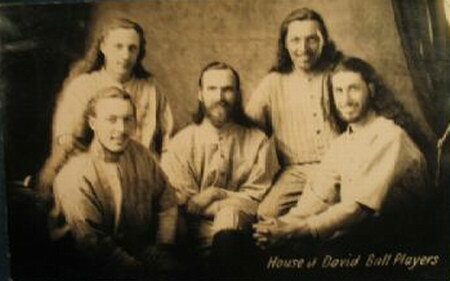 The House of David now Eden Springs http://www. edenspringspark. com/ is coming back. A short loop of train track is laid and on October 29, 30, 2011 it will be open to the public. One of the original generators is restored. 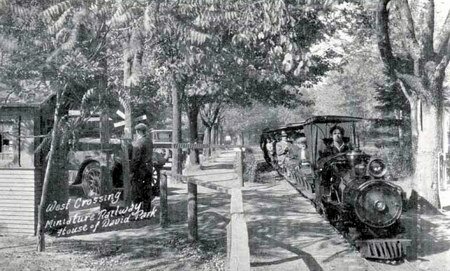 Hoping to get funds to rebuild one tussle and expand the tracks. Lots of work to be done most by volunteers. Stop by and ride the train. Work is continuing to bring the park back. First open to the public is October 29 & 30, 2011. 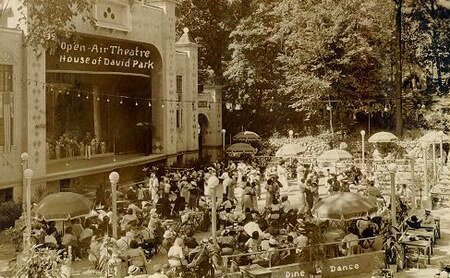 There is an exciting move going on as we speak, as the House of David Amusement Park has been purchased and the entire park is to be reopened this coming summer, 2010. !! 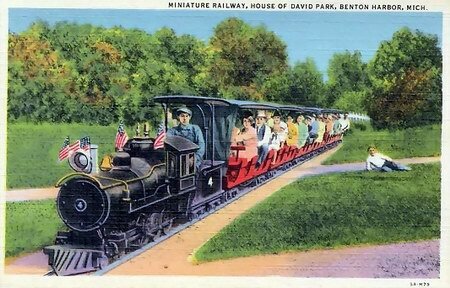 The miniature steam engine trains will be running again by Memorial Day weekend, and several of the old amusement park buildings have been restored and others are in the process of being slowly renovated and will be a part of the rebirth of the great old amusement park that entertained so many of us back in the day! Keep your eyes peeled. its exciting times here in Benton Harbor, and I''m witnessing what people have dreamed of for over 40 years!!. 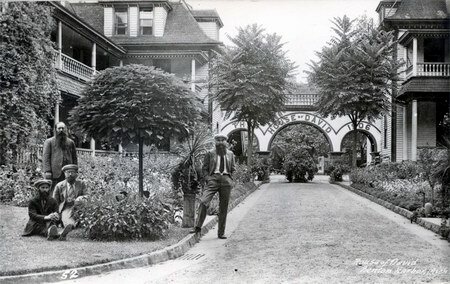 Another great resource about the House of David and the park is Clare Adkin Jr. who wrote the book titled, Brother Benjamin - A History of the Israelite House of David. It was published in 1990 by the Andrews University Press out of Berrien Springs. It is an excellent resource and I''m fortunate to have met Clare and have an autographed copy of the book. While there are many folks listed on this page contributing information, there are ONLY two sources where one might receive accurate information. right from the horse''s mouth, as it were. House of David:http://www. lighthousecolorprint. com/Israelite_House_of_David/Mary''s City of David:http://www. maryscityofdavid. org/. 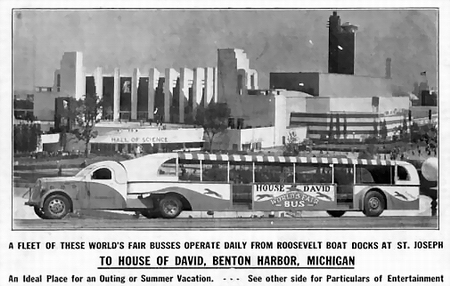 The House of David Amusement Park is still partially intact, and has a wonderful museum which teaches the history of the park and the people, located at the following: 2251 Riverside Road, Benton Harbor, Michigan,49022. The museum is open to the public Monday-Friday 10am-5pm and Saturdays 10am-4pm. It is filled with wonderful pieces of their famous past, including the original steam engine train, original midget auto racecar, and thousands of original photos and memoribilia from their wonderful history. You can visit the fascinating website at www. houseofdavidmuseum. org. 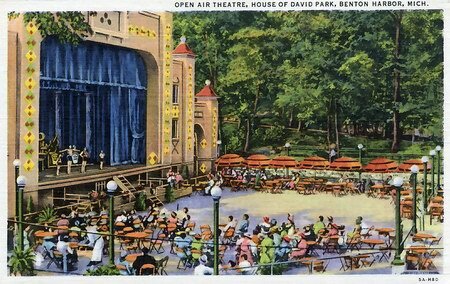 There will be more exciting news about the House of David Amusement Park coming August 1, 2009. I grew up in Cincinnati, but I remember that we took a couple of summer vacation trips to a resort along Lake Michigan, and I certainly remember going to the House of David. This would have been about 1953 and I was 7 or 8 years old, but I remember being a bit spooked by all the men with beards, and I definitely remember riding on that train. The pictures bring back a lot of old memories. visit www. maryscityofdavid. org for more information. For the most complete and compelling story of the House of David visit our new House of David Sponsored Museum Website http://www. houseofdavidmuseum. org/. Although listed as demolished many old structures still stand. 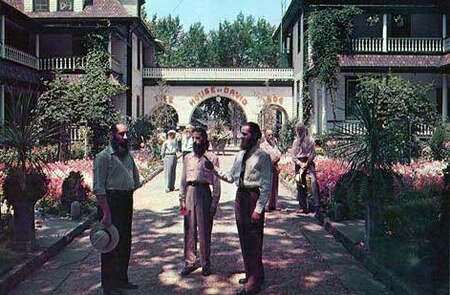 In 1903 the Israelite House of David, a communal society, was founded by Benjamin and Mary Purnell. 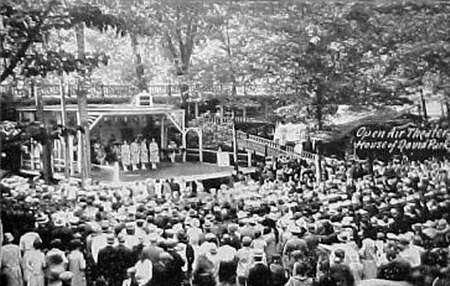 Located on a large tract of land east of the city, their amusement park and baseball team became famous nationwide and attracted thousands of visitors.